In association with one of our councillors, Tourism Victoria has a document promoting the development of a golf course based operation in the Barham Valley. Cabin Park with Recreational Facilities. It is not clear to what extent the Colac Otway Shire has been party to this proposal which does not appear to have been communicated to the community. 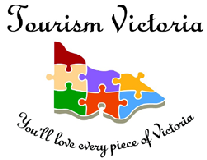 The particular property as shown in the Tourism Victoria document.